After sunset the floodlit towers of Siena appear against the skyline. 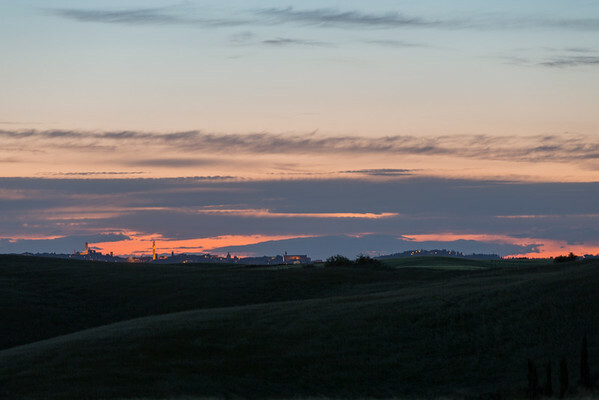 Taken from San Giovanni in Poggio with Canon 5Diii and EF70-200 mm f/2.8L IS II. Exposure was 2.5 sec at f/5.6; ISO 100.